Most of us make vathal and vadams during summer. 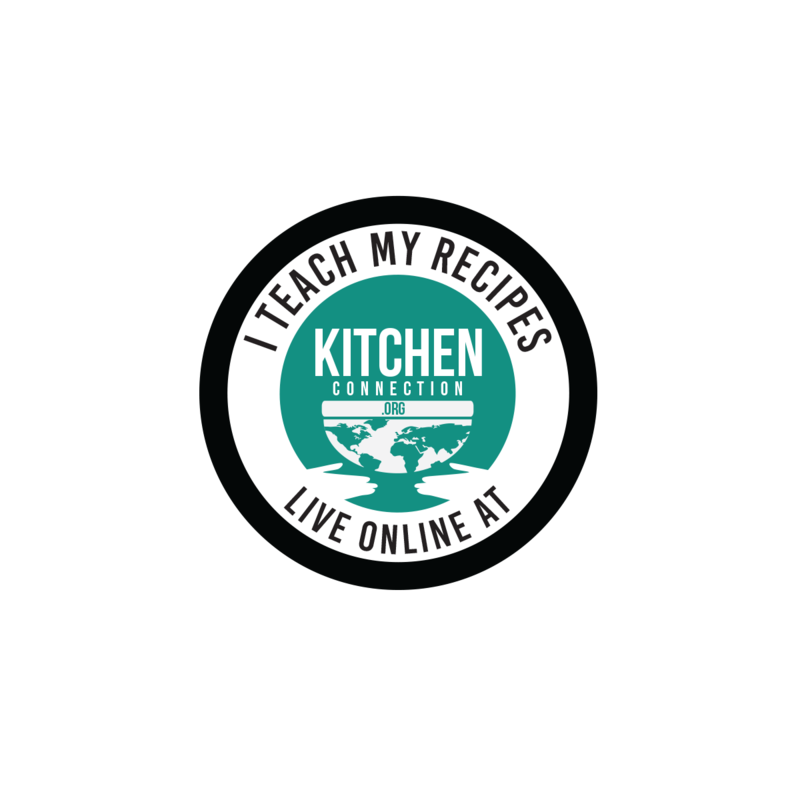 Kovakkai is a good ingredient for making vathals. It is especially good for diabetics. 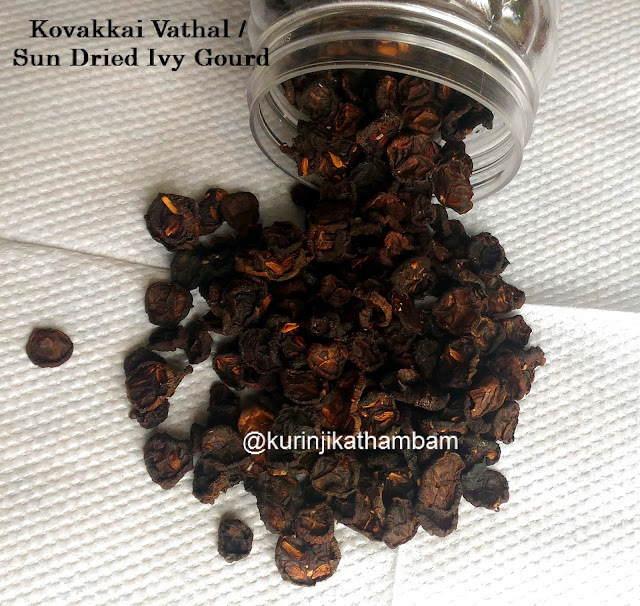 By making vathal with kovakkai, you can use it for long periods even after the kovakkai season has gone. 1. Wash the ivy gourds into small rounds as shown in the picture; keep it aside. 2. Heat 2 liters of water in a wide pan like idli vessel. 4. Now add the ivy gourd (from 1). After few mins lot of bubbles comes out from the vessel. 6. Then drain the water completely and spread the beans on the plastic sheet or clean cloth. Keep it under sunlight for 3-4 days. It depend the size of the ivy gourd pieces. 8. 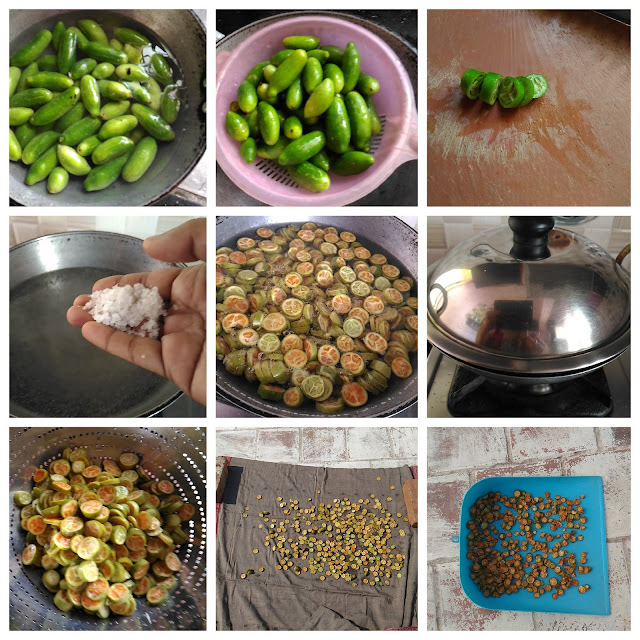 Heat oil in a pan, add dried ivy gourd and fry. Then remove from the oil and keep it on the paper towel to remove the excess oil.